Prior research in animal models has suggested that retinal macrophages play an important role in age-related macular degeneration (AMD), but studies have insufficiently characterized the distribution of retinal macrophages in various stages of human AMD. 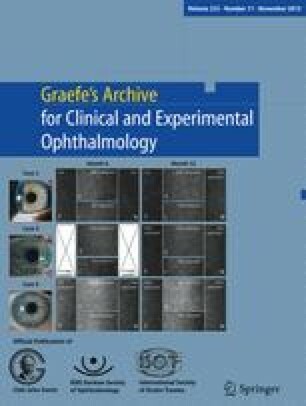 In this case series, we analyzed H&E, periodic acid-Schiff, and CD163 and CD68 immunostained slides from 56 formaldehyde-fixed, paraffin-embedded autopsy eyes of patients over age 75: 11 age-matched, normal eyes, and 45 AMD eyes. Qualitative analysis of the macula and retinal periphery revealed that all eyes contained a significant number of CD163+ cells but a negligible number of CD68+ cells. In normal eyes and eyes with thin or infrequent basal laminar deposits, CD163+ cells were restricted to the inner retina. In contrast, in AMD eyes with thick basal deposits, choroidal neovascular membranes, and geographic atrophy, qualitatively there was a marked increase in the number and size of the CD163+ cells in the outer retina, sub-retinal, and sub-retinal pigment epithelium space in the macula. The changes in number and localization of retinal CD163+ cells in eyes with intermediate-severe AMD support a key role for macrophages in the pathogenesis and progression of the disease. A larger, quantitative study evaluating the distribution of macrophage subpopulations in postmortem AMD eyes is warranted.